Everyone has a dog, except me. So I say to my mum, "I need a dog." But my mum says, "Why do you need a dog when you have such a nice goldfish?" The little boy in this book is desperate to have a dog as a pet. After all, what's the use in having a goldfish when they don't catch sticks, they don't wag their tail and they don't go for walks? Can a goldfish EVER be the perfect pet? 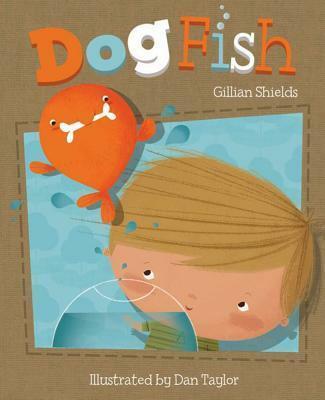 Gillian Shields was born and brought up in Yorkshire, then read English at Cambridge. After further study she worked in a drama school for several years before moving to the Sussex countryside. She now looks after her family and teaches English and drama part-time, as well as writing for children.